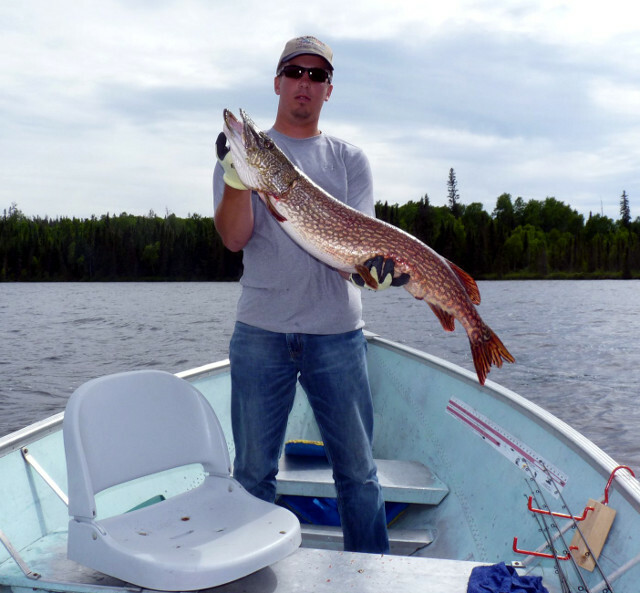 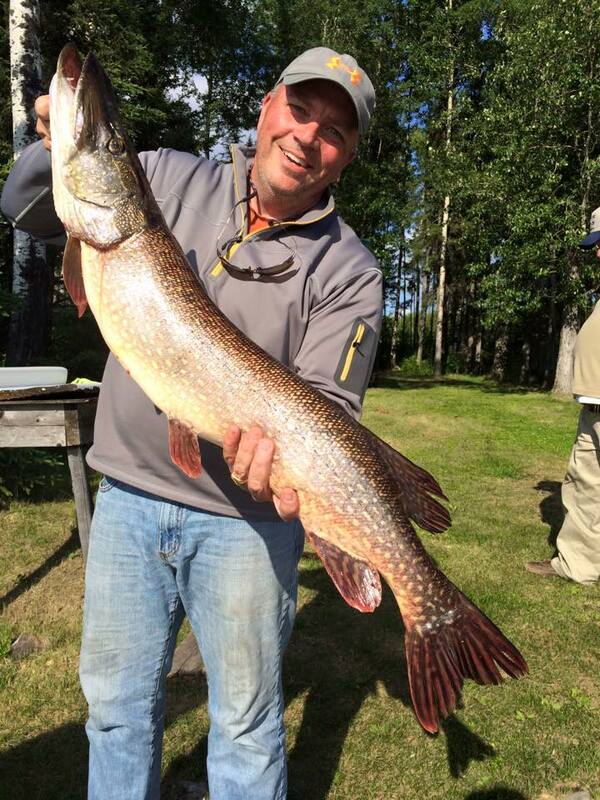 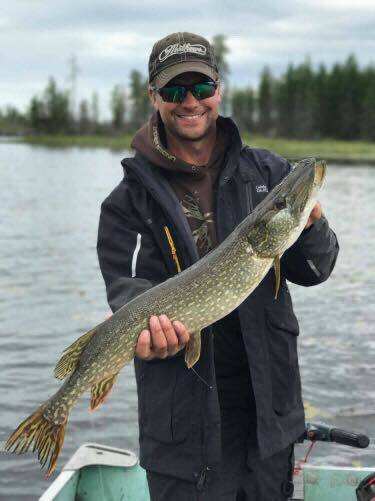 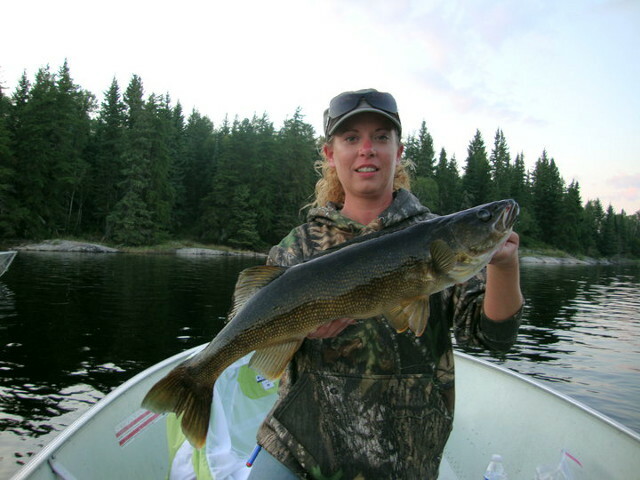 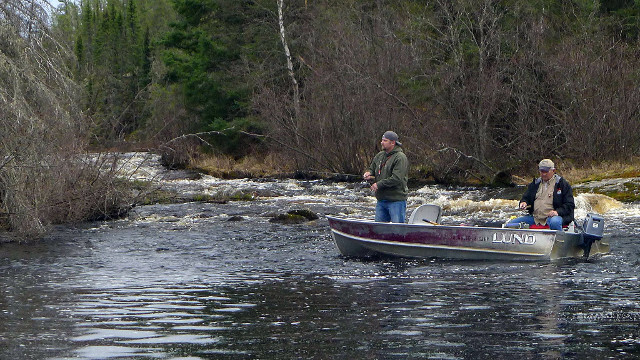 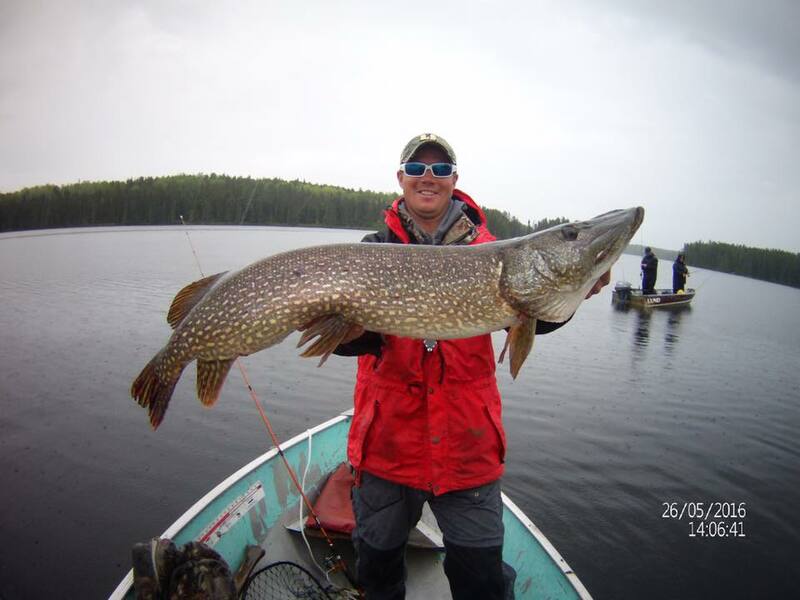 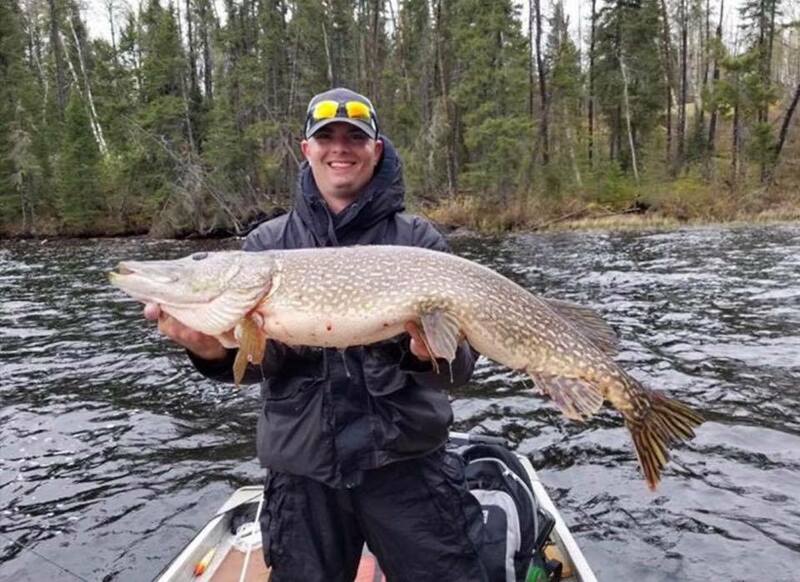 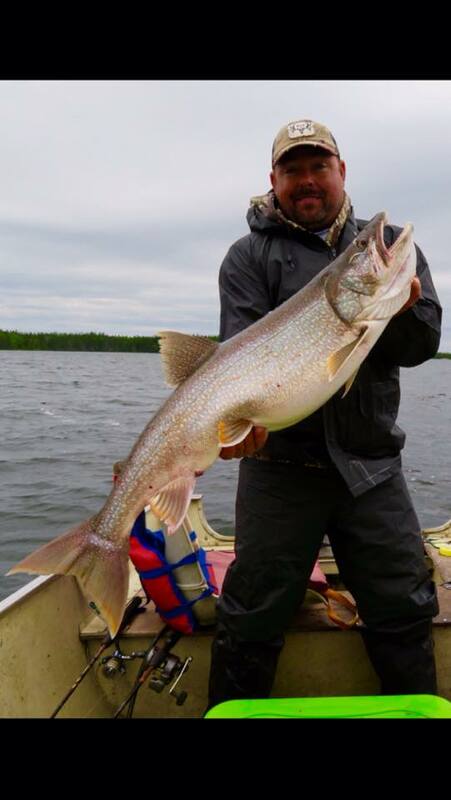 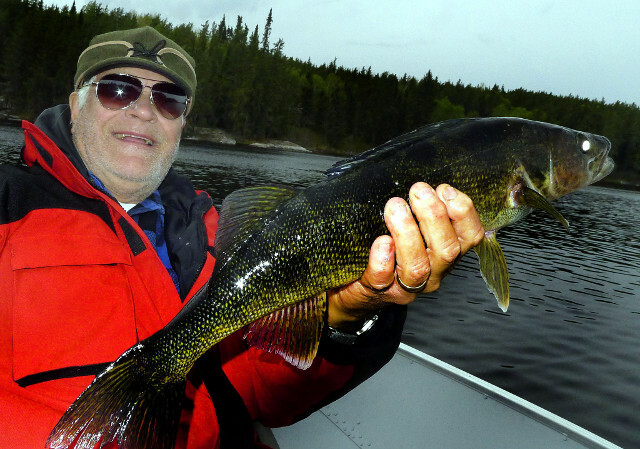 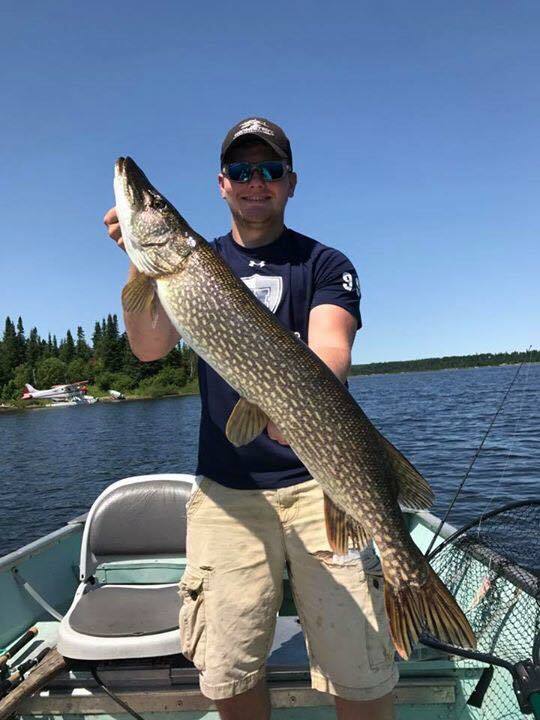 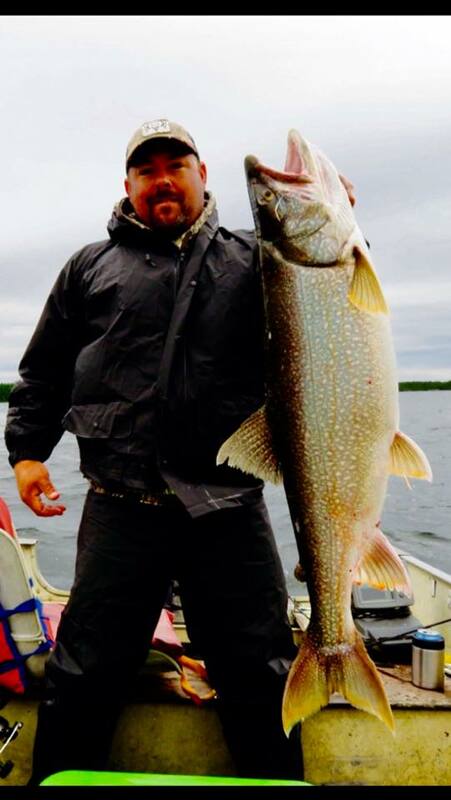 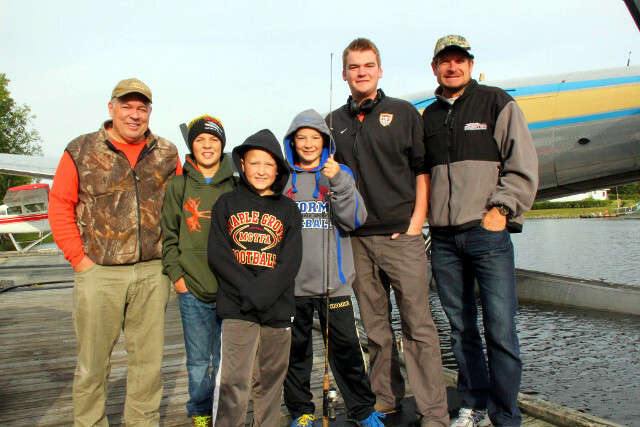 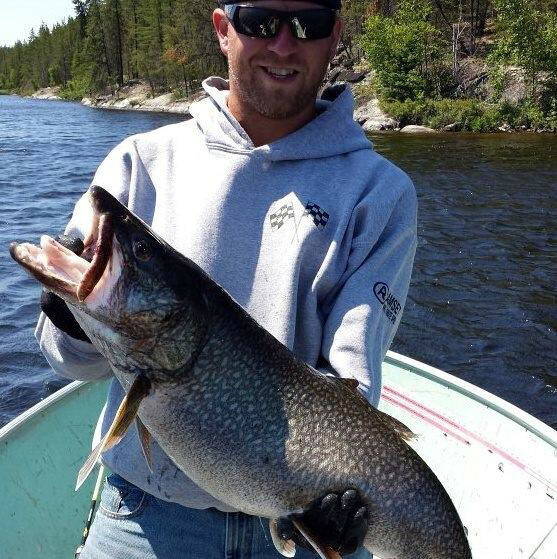 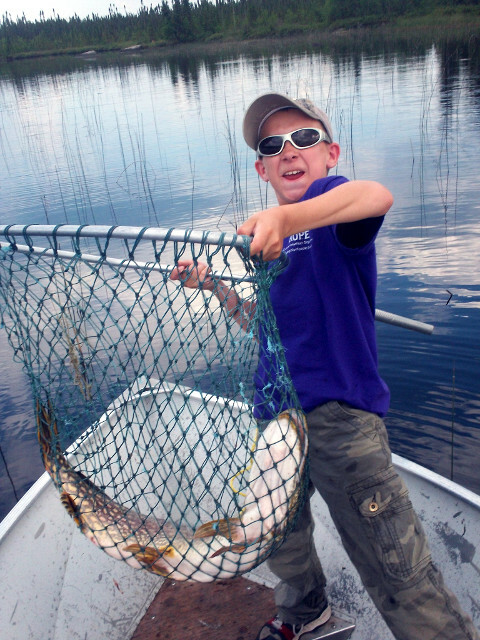 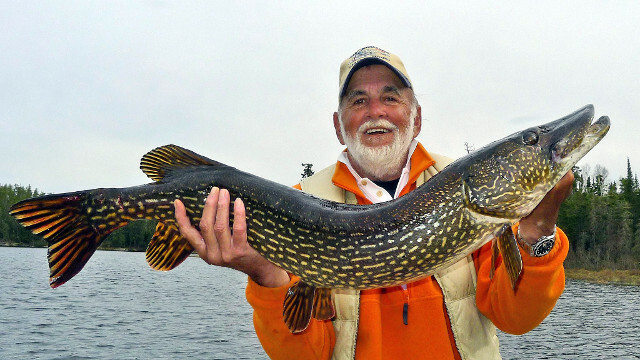 For over 50 years, members of the Showalter family have been providing fly-in fishing adventures from Lake of the Woods to the Arctic Circle. 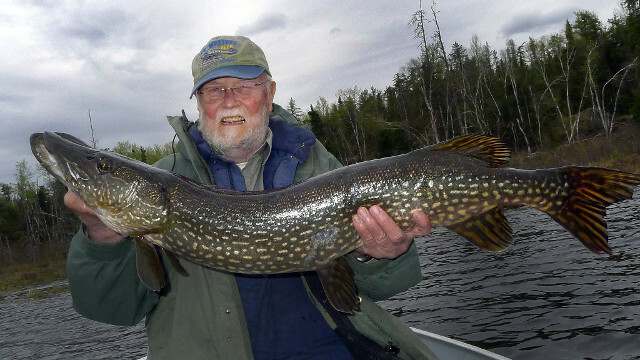 Beginning with the purchase of Northwest Flying Service in the late 50’s, Ralph, Manly, and Edwin Showalter eventually became some of the most experienced bush pilots ever to fly the northern regions of Canada, guiding thousands of fishermen and hunters to once-in-a-lifetime outdoor experiences. 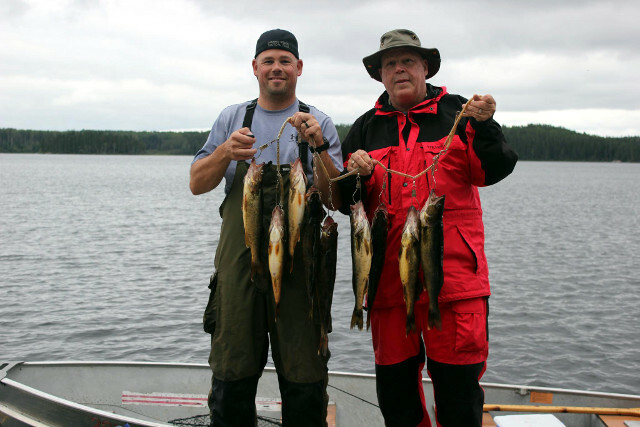 By the later 70’s, Edwin’s son Eddie began a new chapter in the Showalter family story, guiding groups to the northernmost fly-in outpost camps. 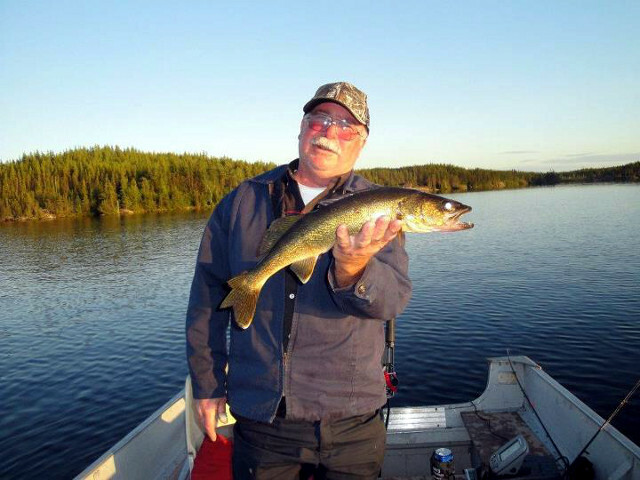 In the air since the age of 15, Eddie still flies his red and white Cessna 180 for routine camp checks and has now accumulated more than 20,000 flight hours and become an expert on northern Ontario fishing and hunting. 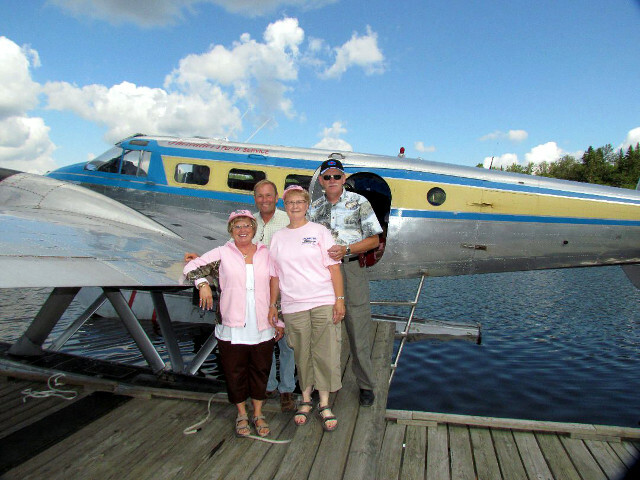 In 1987, Edwin, his wife Louise, and son Eddie Showalter moved north to the Red Lake, Ontario, area and began operation of “Showalter’s Fly-In Service” with a fleet of two Beechcraft 18’s, one Beaver, and a Cessna 180. 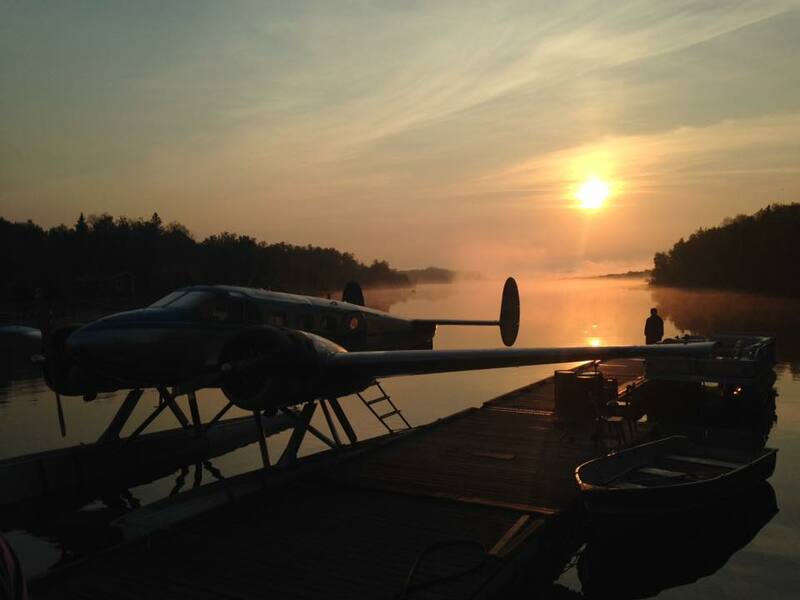 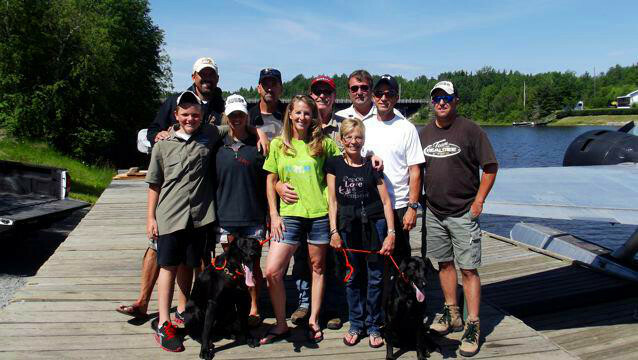 The family now operates 14 of the top remote fly-in outpost camps in Northwest Ontario. 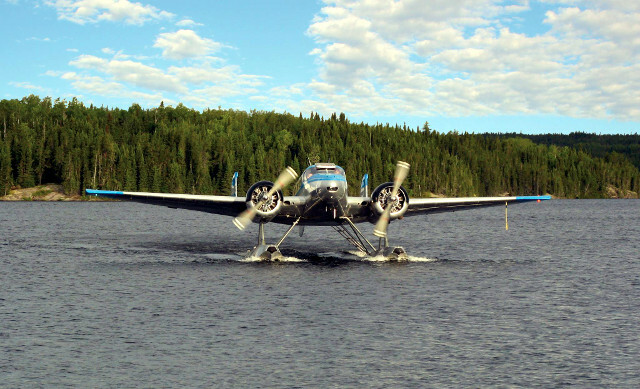 In 2008, after a long and legendary 50 year aviation career, Edwin retired. 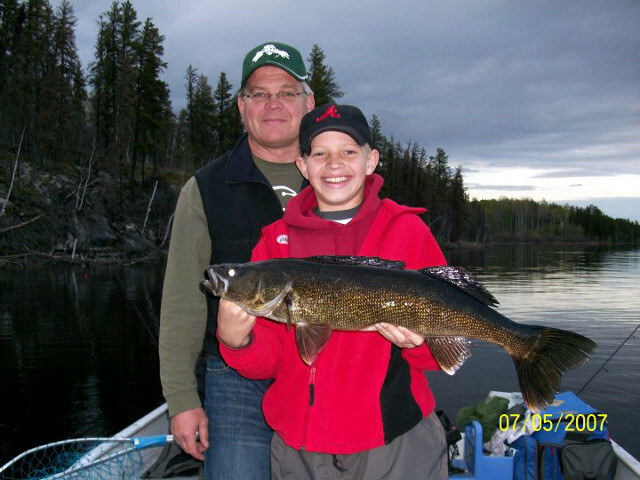 He and Louise sold the company operations to their son Eddie. 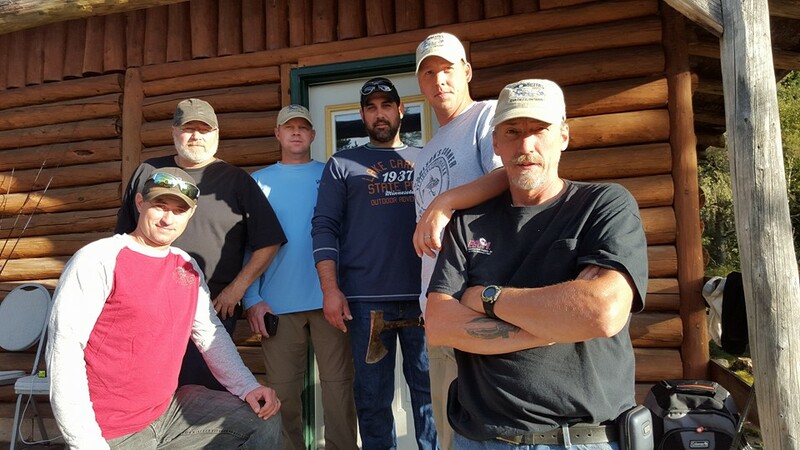 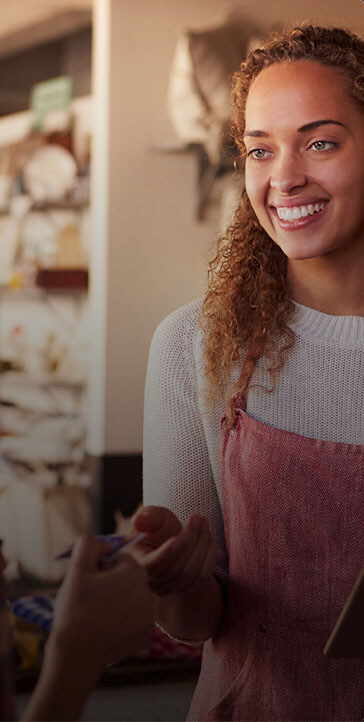 Under Eddie’s management, his family’s reputation for high levels of customer service and safety continues to bring guests back year after year. 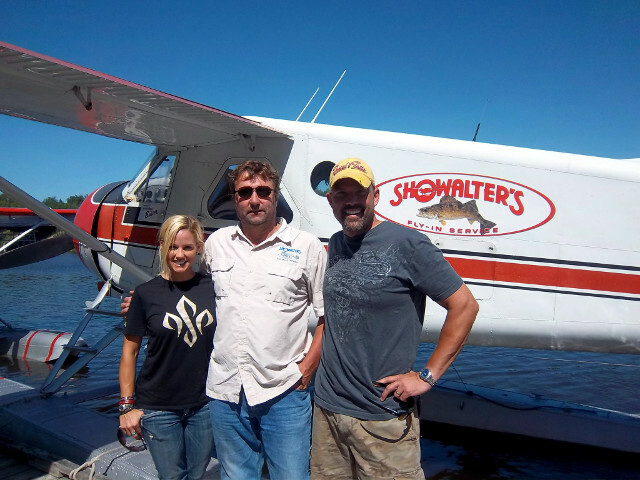 Showalter’s Fly-In Service operates five float-equipped aircraft. 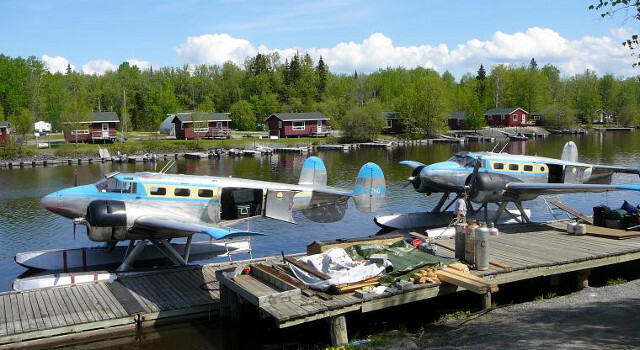 Two main Beechcraft 18’s. 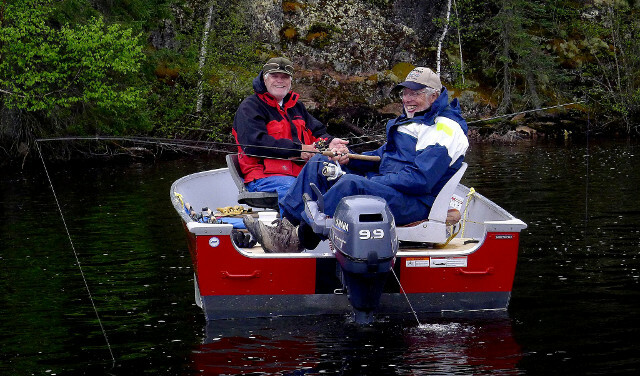 Long on space, comfort and power, the Beechcrafts are capable of flying up to eight people and gear comfortably. 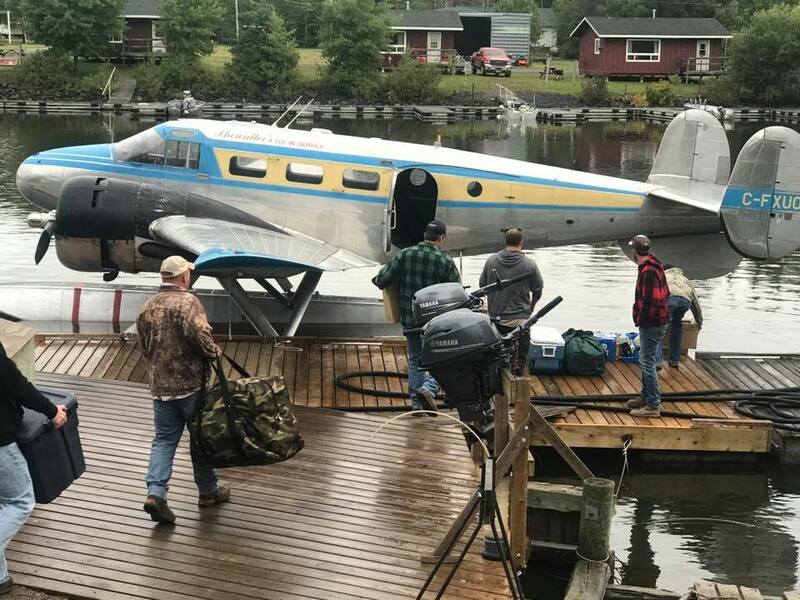 With two Pratt and Whitney 450 horsepower engines, the Beechcrafts will get fishermen to their destination quickly and safely. 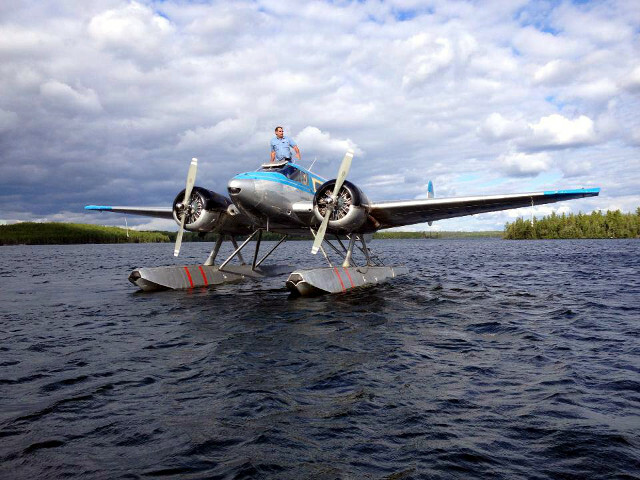 One Dehavilland Beaver: Called “the real workhorse of the north,” the Beaver will accommodate up to four people and gear. 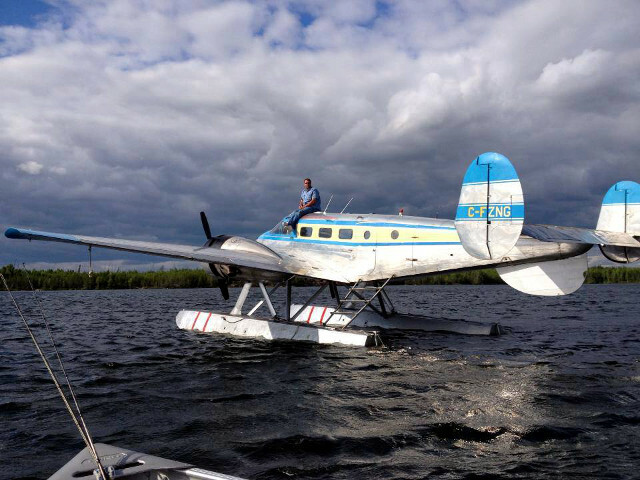 One Cessna 180 and one Aeronca Champ: Eddie pilots these “camp check” airplanes himself, so he can fly to each and every camp twice weekly to discuss his favorite subject (fishing!) 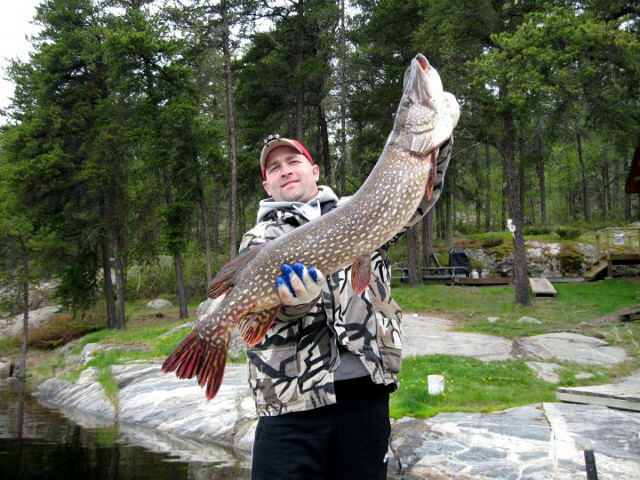 and ensure that his guests are experiencing the trip of a lifetime. 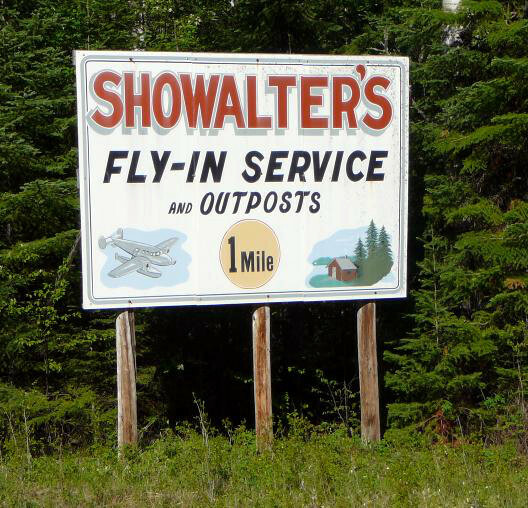 Showalter’s Fly-In Outposts offer the finest in accommodations and equipment. 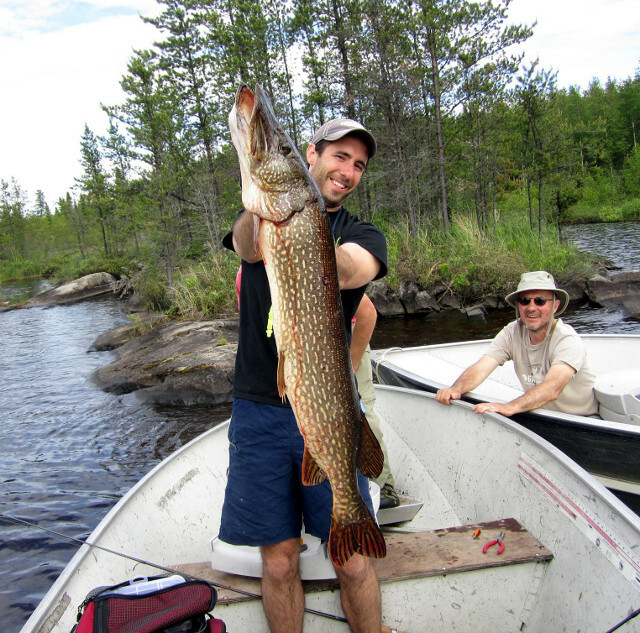 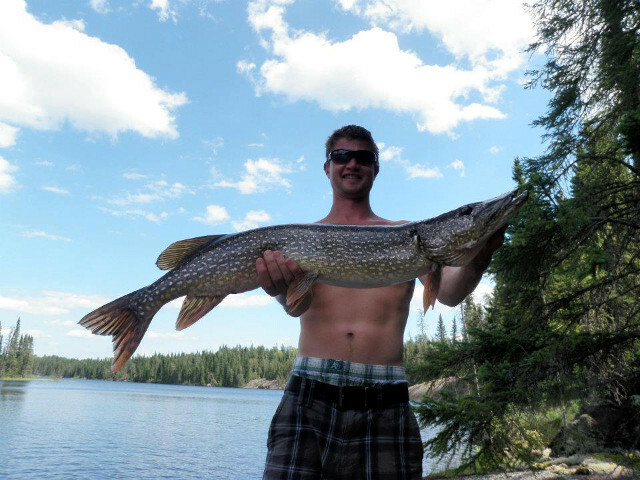 Our modern cabins feature knotty pine interiors, hot and cold running water, showers, solar lights, gas grills, fish cookers, refrigerators, and freezers to make your stay both comfortable and enjoyable. 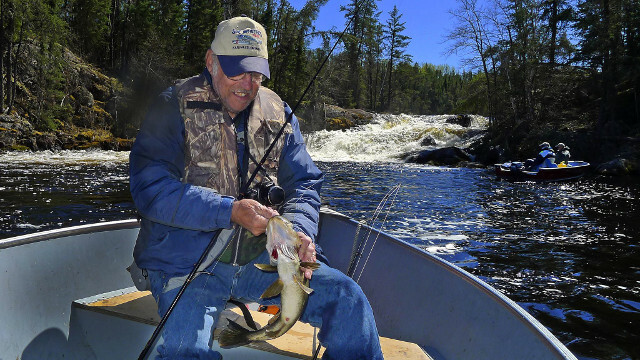 At the dock, your fishing experience will begin with newer Lund or Alumarine boats and 8, 9.9, and 15 horsepower four stroke Yamaha motors. 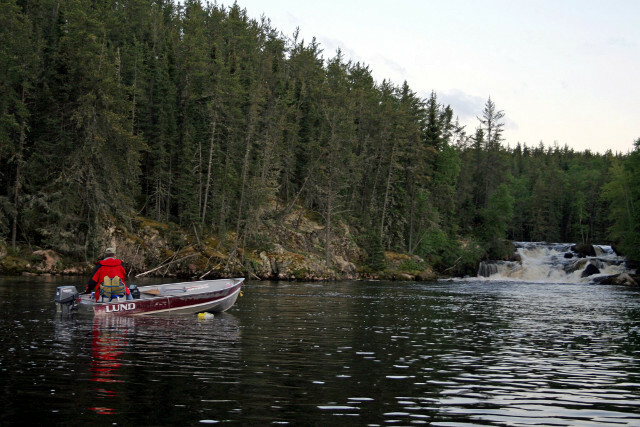 All boats have swivel boat seats and unlimited fuel. 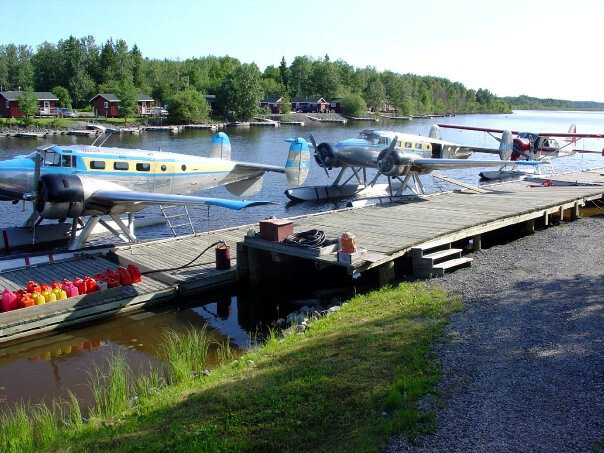 • Round trip float plane service form our airbase located 15 miles north of Ear Falls, Ontario on Highway 105. 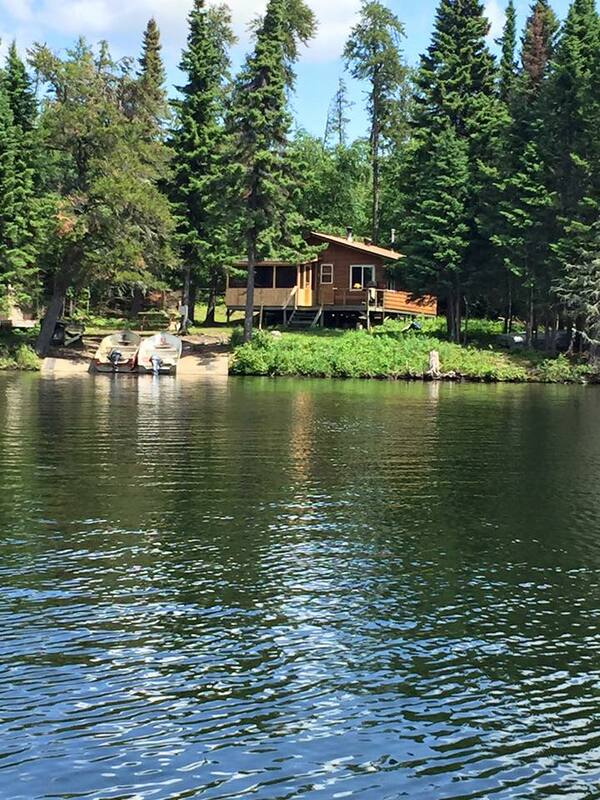 • Spacious, modern cabins including full size gas ranges, two refrigerators, freezer, gas grill, and fish cooker. 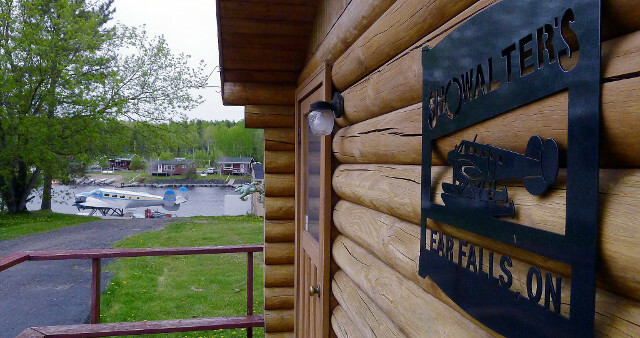 • All outposts feature solar lighting (with propane back-up), hot and cold running water with showers. 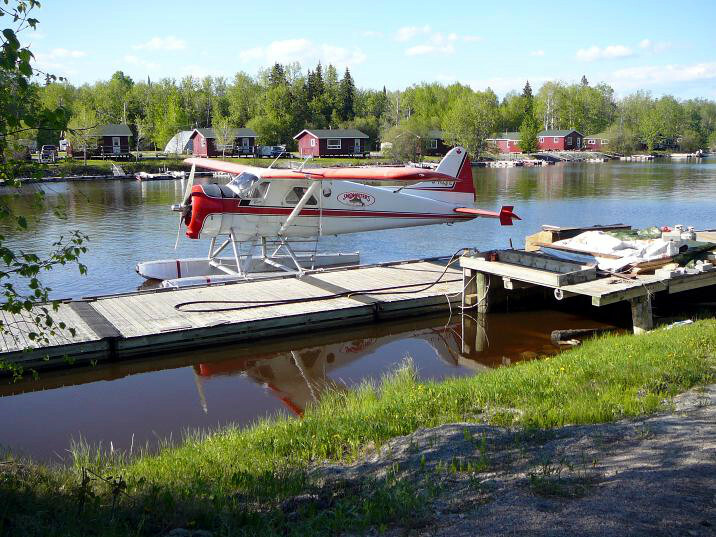 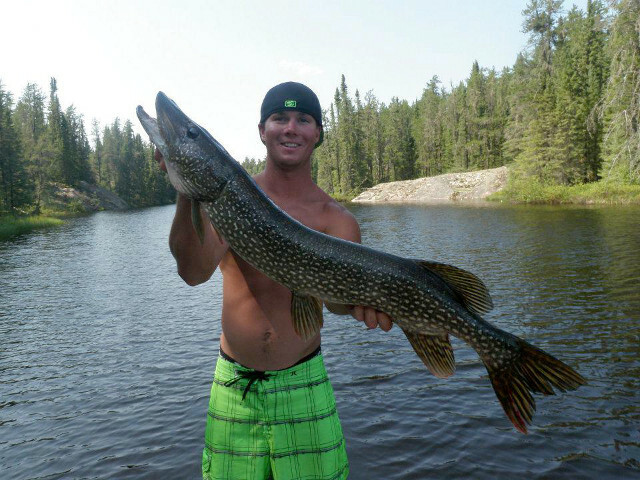 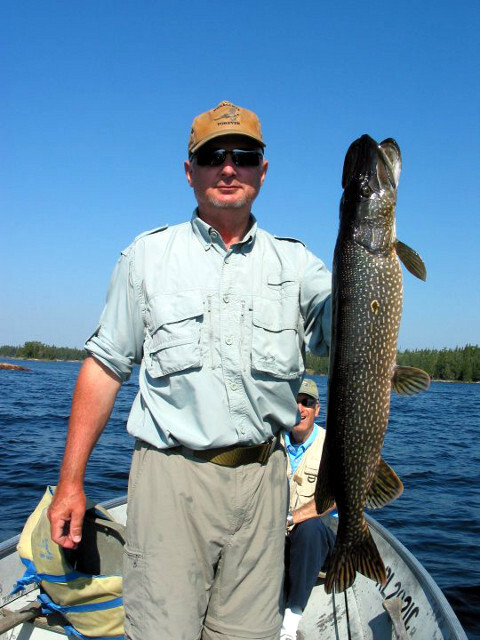 • Conservation licenses are included, and regular fishing licenses are available at our airbase for your convenience.